Blog / Florence / May 1: What to Do in Florence and Surroundings? Wednesday is May 1 and International Labor Day so most everything is closed as everyone takes a well deserved rest off… but if you’re visiting Florence and Tuscany, you’re likely wondering what you can do. The Uffizi and Accademia galleries will be closed but don’t despair, there is still plenty of other places you can visit. 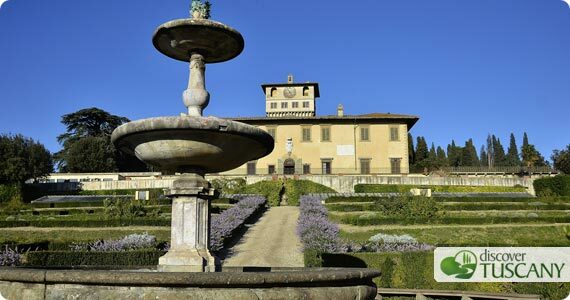 Actually, this is the perfect occasion to visit some of those spots that are less well known even if not less fascinating, such as the Medici villas just outside of Florence (such as the one in the photo above, the Villa La Petraia). Those that prefer to remain within the city’s boundaries can head to Piazza della Signoria around 3.30pm to watch the Trofeo Marzocco, where groups of flag-throwers from all over Italy will be competing against each other for the Marzocco trophy. The fascinating competition should end around 5.30pm with the declaration of the winning team. Last day of the traditional Flower Exhibition in the Giardino dell’Orticoltura, here you can also visit the ancient Tepidarium just restored. The Galileo Museum offers also guided visits (in italian) to the collections at 10, 12pm and 330pm. Reservation needed by calling the number 055 265311. On Wednesday May 1 from 10 to 6pm the splendid Medicean Park of Pratolino in Vaglia will also be open (read about the park here). The Medici villa within is not open to the public but the lark park that surrounds it is and so a walk around the estate is beautiful and relaxing. The large open meadows are ideal for letting children run around and play as well as for a picnic surrounded by the green and flowers of spring. Entrance is free. At 4pm there will be a puppet show of the tale “Little Red Riding Hood” for all kids.